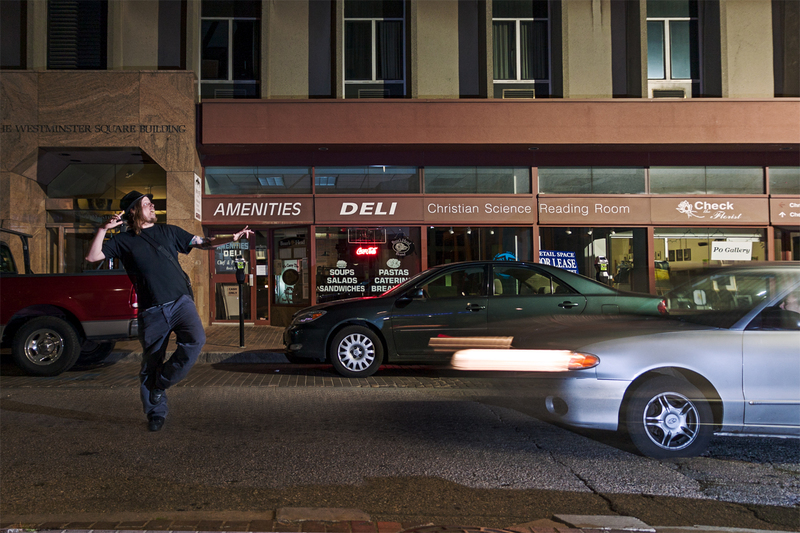 So while I was out taking photos of my friend Jay, he almost got hit by a car. This was better than anything else we did that night. No, but seriously, this was all planned. It 2 photos combined together in photoshop to make it look like he was in the process of getting hit by a car. I think I could have made this better was having Jay pose differently, the way it looks now is a bit planned – his foot placement gives it away. Some movement around his legs or arms would have made it look like he was running out of the way as well. I did have fun with this shoot and most importantly learned something new. Thanks Jay!